Nowadays Hungary is not among the world’s dominant gold producers, but in the middle ages that was quite different. That time Hungary was responsible for 25% of the gold and 20% of the silver production of the whole world. The data is even more expressing if we focus on Europe only: 80% of the continent’s gold production came from Hungary. The proportion only decreased after America had been discovered. 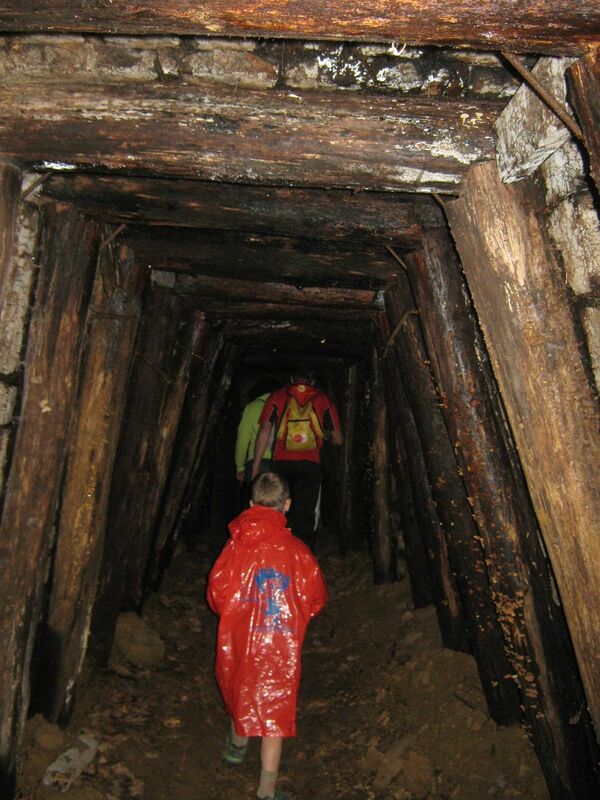 The majority of the Medieval Hungarian gold mines are now in Slovakia and Rumania (because of the border change after the World War I), but there are still some mines to be found in today Hungary as well. 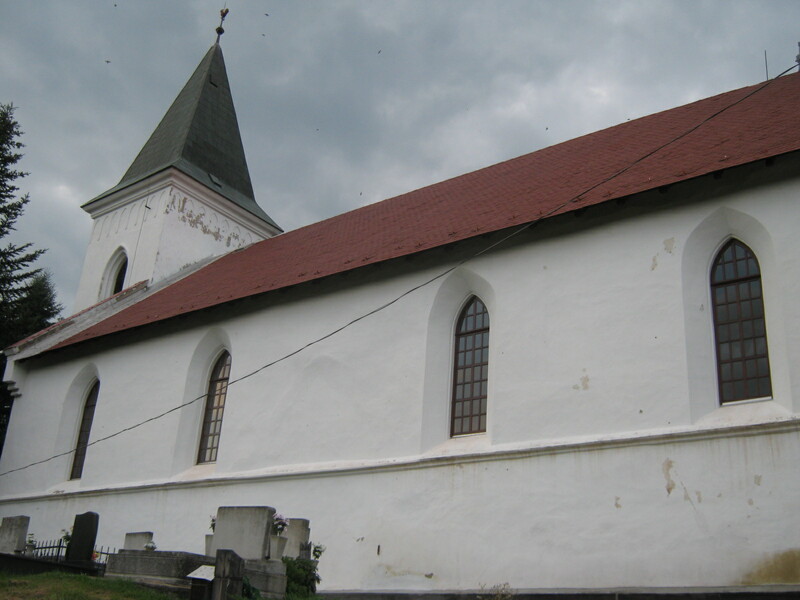 One of them is in Telkibánya, which will be the venue of one of our night stops on our Saint Elizabeth Tour this spring. Telkibánya is now a small village with less than 2 000 inhabitants, but used to be one of the seven most important mining towns of Hungary. It was so rich that even the church spire was made of gold. 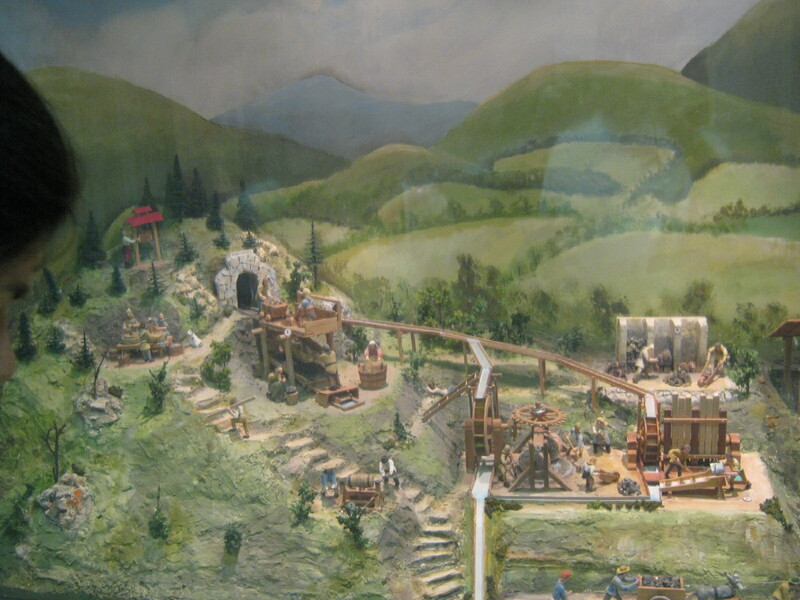 These days there isn’t rare metal production any more; the mines were mostly worked out and the production oversees makes impossible to start new tunnels and shafts. Although you could get 3 grams of gold out of a ton of earth, which ratio makes several mines work, but they are in the third world where the security and environmental standards are lower, and so are the wages. Meanwhile you can still admire the heritage of the one time flourishing mining. 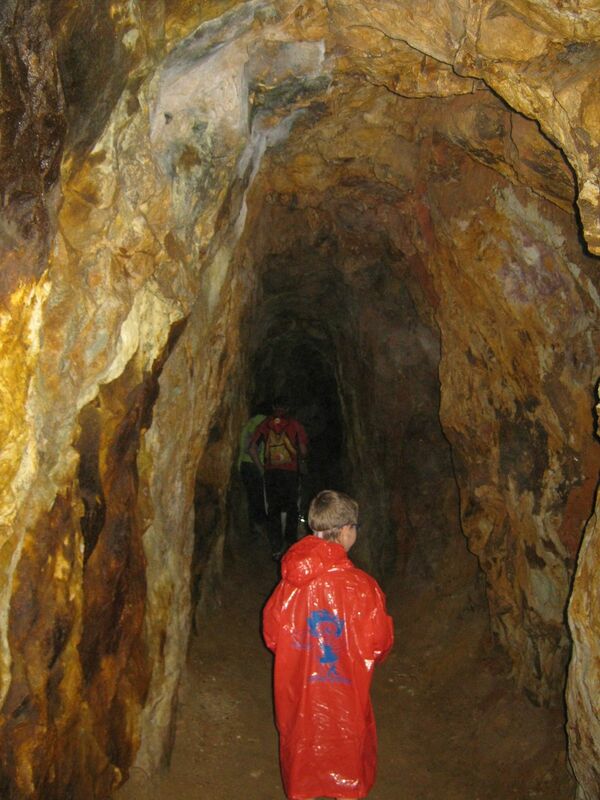 You can even go to one of the medieval gold mines down to 90 meters deep below ground level, which gives you a feeling as if you were in the middle ages: the shafts are narrow, low, there is no electricity (torches only), and there is water and mud on the ground. Incredible experience! I was here with my family; my wife and my daughter didn’t dare to come down there, but my son and I were brave. It is him who you can see on the photos. 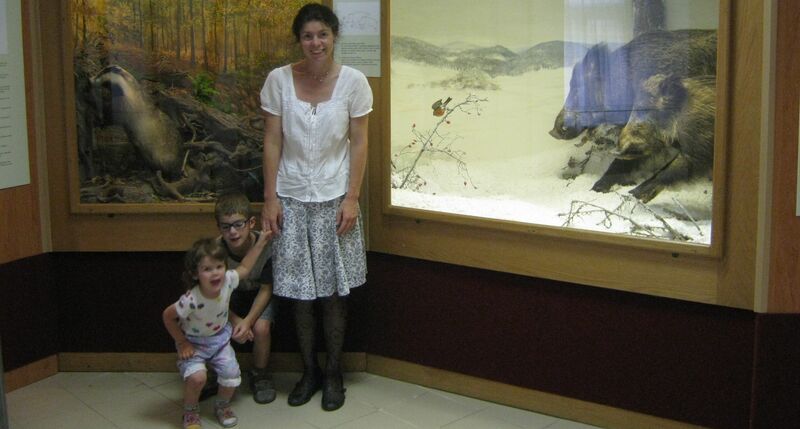 As for the rest of the family, you can only find them on a photo taken in the local museum.